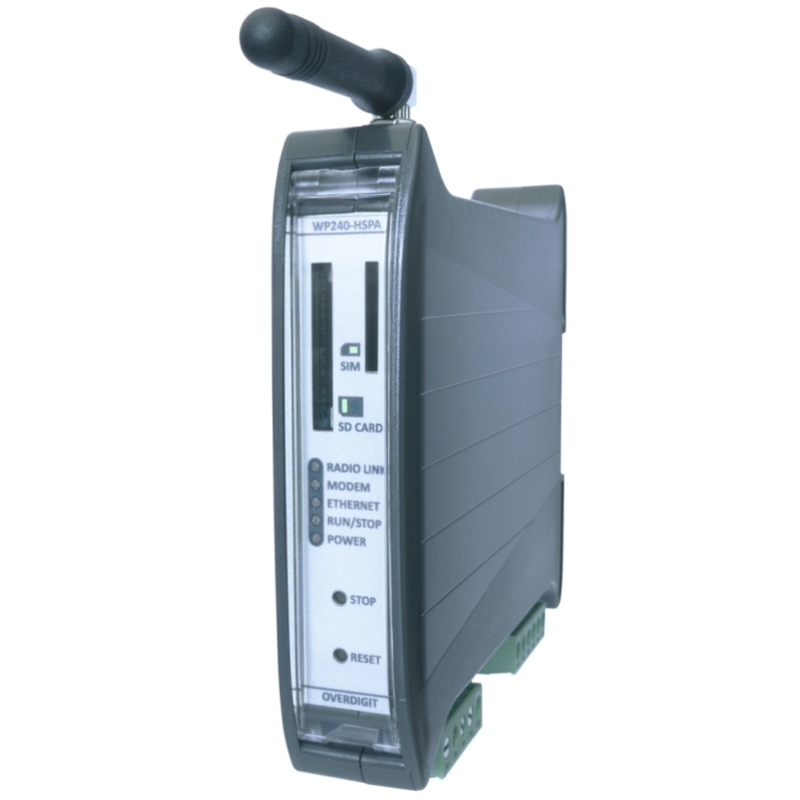 Version of the WP240 product with UMTS radio modem option. All the same functionalities of the Web PLC but with the possibility of permanent connection to the Internet using HSPA technology. The increased communication speed of HSPA (3G generation) respect GPRS (2.5G generation) is particularly appreciated in the case of remote use of the CoDeSys tool and Web-server (for all server functions on PLC side, eg. programming and CoDeSys Web visualization, check the availability for a data SIM with public IP).